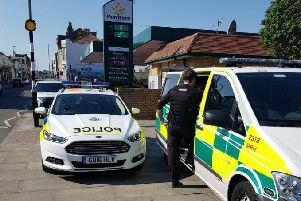 More than 950 Highways England Traffic Officers in the South East are being trained in life-saving first aid, giving them the skills to help casualties in need of urgent medical attention. The traffic officers, who patrol England’s motorways and major A-roads 24 hours a day, are often first on the scene to help when drivers are in trouble. The first priority for traffic officers is making the scene safe for everyone, which may mean controlling moving traffic, moving vehicles and helping people find a place of safety. But this new training aims to give these officers the ability to help anyone who is injured and signals a change in how the agency operates. Highways England Executive Director of Operations, Nick Harris, said: “I strongly feel that traffic officers should be able to perform lifesaving first aid to members of the public using our roads. Combining life-saving first aid training with key scene management will help our staff safely make a real difference for our customers. The training began last month in the South East region and will be rolled out nationally. The one-day course is the same training that is received by emergency services personnel and includes instructions in how to implement the recovery position and CPR, respond to a cardiac arrest and shock, and treat wounds and bleeding. Driver First Assist is a not-for-profit organisation comprising drivers who have been trained to provide life-saving first aid and manage the scene at a road traffic collision, prior to the arrival of the emergency services. DFA has been created in partnership with and is supported by the Police, Ambulance and Fire and Rescue services.